For the love of all things sticky, sweet and sinfully irresistible, Malaysia’s smoky, caramel-edged gula Melaka ranks high on our list of desserts worth skipping gym time for. Before the Europeans introduced cane sugar to our part of the world, we relied heavily on palm sugar. Depending on the quality of the palm, and how it is pressed, different varieties of gula Melaka may exude different flavour profiles. Sourness, smoke, caramel, butterscotch, coffee, or even a combination of those flavours. A complex sweetener with a myriad of nuanced flavours, we just love it in everything. 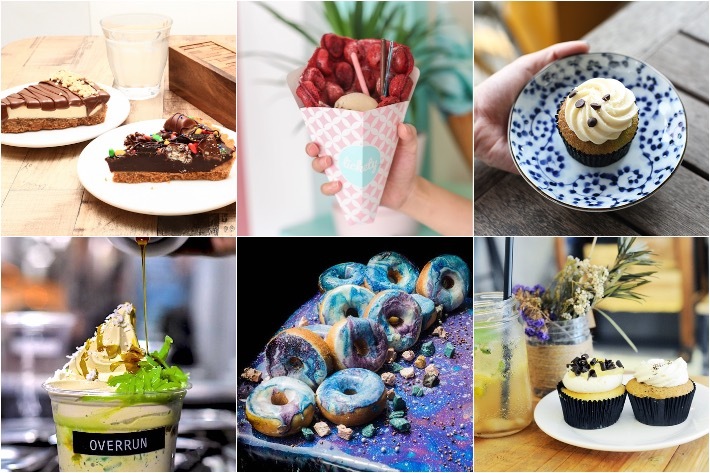 Here are 15 places in Singapore where you can find gula Melaka desserts worthy enough to make you want to skip gym day. In 2018 alone, there have been multiple instances where we have witnessed Singaporeans’ relentless patience to queue for overseas brands who have made their debuts in Singapore, including famous Korean toast chain Isaac Toast, original cheese tea inventor HEYTEA, and Austrian bakery specialising in devil cheese buns, Guschlbauer. Keep your eyes peeled and your calendars marked because come late November, famous Hokkaido soft serve shop Naganuma Ice is slated to open in Singapore’s Carlton City Hotel. Known to be Hokkaido’s most sought-after soft serve brand, the brand specialises in soft serves and gelato and always sees queues of almost an hour long. Distinctively the sole Hokkaido firm certified by the prefecture’s authorities for using raw Hokkaido milk in their ice cream products, their milky goodnesses is quite possibly the best in Naganuma itself. Dessert is a universal language that everyone speaks. With dessert, there is no discrimination, no boundaries and completely zero biases. Every culture and cuisine has their own take on dessert—afterall, who can resist whenever the sweet tooth comes knockin’? As most desserts make use of ingredients such as eggs, lard and gelatine, finding a dessert joint to match your diet restriction might not be easy—especially for our Muslim friends. 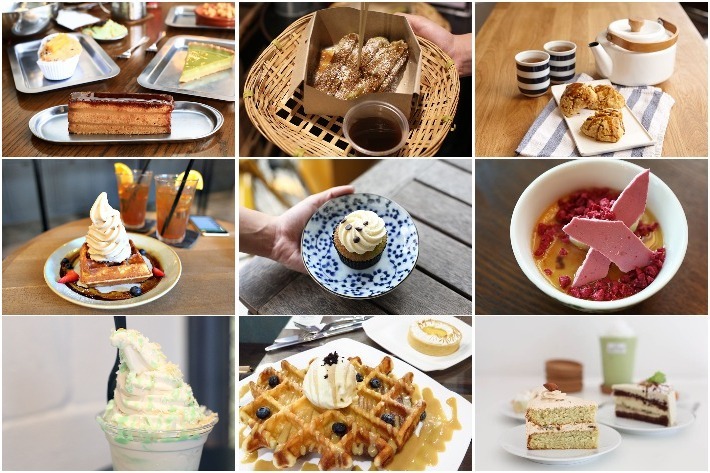 To make life easier, here’s a list of 10 Muslim-Friendly Dessert Joints in Singapore. There are endless dessert choices out there in the world but what is it about the tiramisu that makes those with a sweet tooth go crazy over it? Perhaps it’s the delicate mousse-like texture that melts so easily on your tongue or maybe it’s the perfect balance of bitter coffee and sweet whipped cream on your taste buds that get you hooked. Whatever reason you are thinking of, one thing is for sure—a good tiramisu can do wonders for your mind, soul and appetite. If you’re ever craving this Italian dessert and have zero clues where to look, then look no further than to our guide on 14 best tiramisu in Singapore—believe us, they’re worth ruining your diet for. Presenting a diverse and interactive dining experience, Pan Pacific Singapore’s Edge remains, till this day, one of our all-time favourite weekend brunch spots in the city. A multifaceted buffet restaurant that goes over the edge—in every sense of the word—with 7 interactive live food theatres, 16 food stations (at least) and one epic dessert spread, Edge constantly pushes the boundaries to what most people would envision as a ‘typical’ buffet and their revamped Theatrical Sunday Champagne Brunch is no exception. Calling all brunch lovers, come 25 March 2018, gather your family and loved ones for a refreshed selection of gourmet items that are made better with unlimited Veuve Clicquot Champagne, an all-new botanical gin bar, a new food station and even live band performances that the whole family can enjoy. Where do we begin? 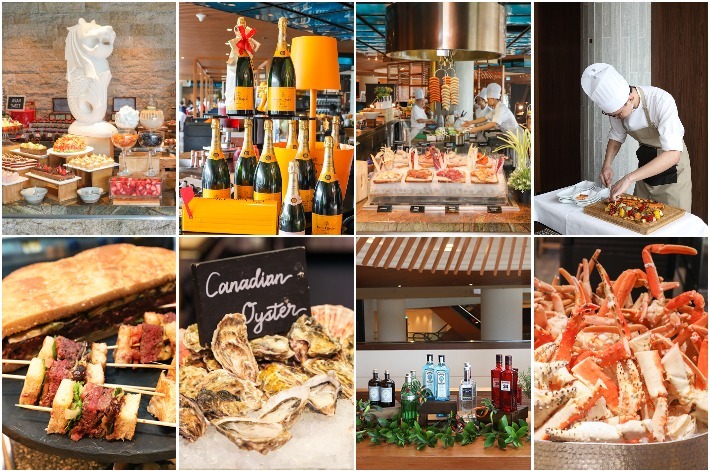 Whether its Peranakan, Chinese, Japanese, Northern Indian, Singaporean and/or delights from as far as the Pacific region, champagne brunch will be redefined at Edge. And just for our readers, we are giving you the opportunity to dine like royalty without breaking the bank that much. From 25 March to 24 June 2018, simply quote ‘ladyironchef’ to enjoy a complimentary upgrade to unlimited Veuve Clicquot Rosé Champagne (usual price at S$208++ per diner) for diners who opt for the S$188++ unlimited Veuve Clicquot Brut Yellow Label Champagne price, as well as a 10% discount on the S$128++ brunch price that includes unlimited fresh juices, soft drinks, coffee and tea. 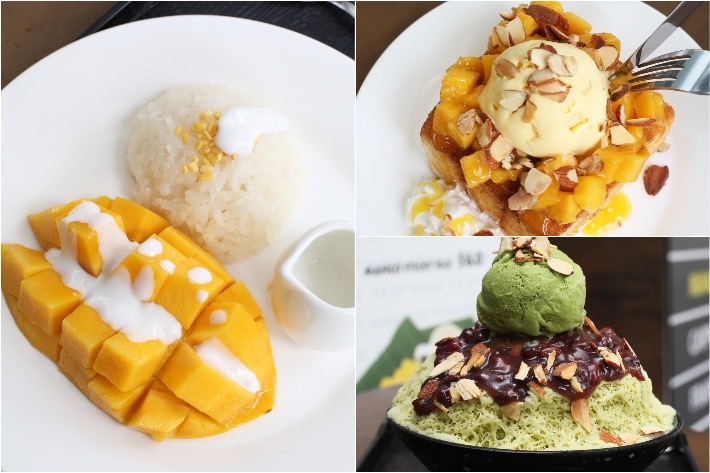 Located on the first level of Gek Poh Shopping Centre in Jurong West, OH MY MANGO is a new dessert cafe that breathes new life into the somewhat run-down neighbourhood shopping centre. Specialising in Thai-inspired sweet treats, their menu boasts more than 40 different items from desserts to colourful beverages and even assorted Shibuya toasts that are available in both sweet and savoury varieties. If you think that this is just another neighbourhood dessert pitstop, think again. On their menu, you can expect to find some pretty interesting offerings such as their Tom Yum Goong Toast (S$6.90) which is somewhat similar to a pizza except with the addition of the spicy and zesty flavours of Thailand’s iconic dish. Those living in the West of Singapore truly have something to be glad about, especially with so many interesting cafes and eateries sprouting up around the area. Whether it’s a quick coffee run or a much-needed sugar spike, OH MY MANGO Dessert Cafe is a great option to consider. 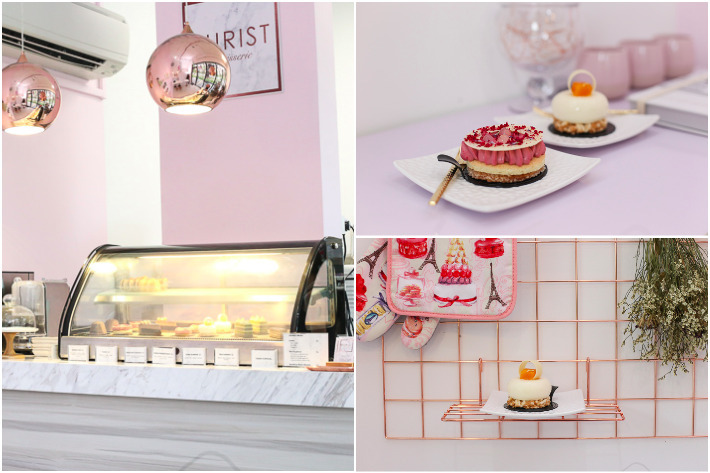 Nestled amongst private housing estates in the Lorong Ah Soo neighbourhood, Purist Patisserie is a beautiful boutique patisserie tucked away on the end of shop houses of The Promenade @ Kilat. Primarily opened for custom cake orders and collections, this boutique patisserie is on a journey to make exquisite pastries fun and delightful for everyone. With an assortment of exquisite cakes and French bakes, you can expect to indulge in creative desserts that are put together with quality ingredients and a whole lot of heart. Gourmet burgers are nothing new to Singapore’s dynamic food scene, but what is it about these fancy burgers that motivates people to spend so much more for them as opposed to their fast food restaurant counterparts? The answer lies in its jazzed-up sauces but more importantly, the use of premium ingredients. Bringing its signature West Coast flavour to Singapore, 25 Degrees Burgers & Liquor Bar is a gourmet American burger joint from Los Angeles which serves up a myriad of gourmet burgers, milkshakes, beer and wine at reasonable prices and is even rumoured to be a cult favourite among many Hollywood stars.